No other use of the information is authorized. Except as specified above, nothing contained herein shall be construed as conferring by implication, estoppel or otherwise, any license or right under or to any intellectual property right including, without limitation, any patent, trademark, service mark or copyright of Direct Energy or of any third party. Direct Energy and/or any third party owner of such rights retain all such rights. 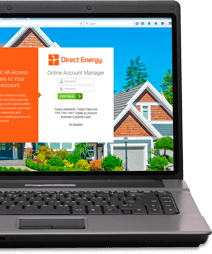 Direct Energy reserves the right to require you to delete, destroy or otherwise remove any content that is used in a manner that in Direct Energy's sole opinion is contrary or otherwise inappropriate, derogatory or offensive.